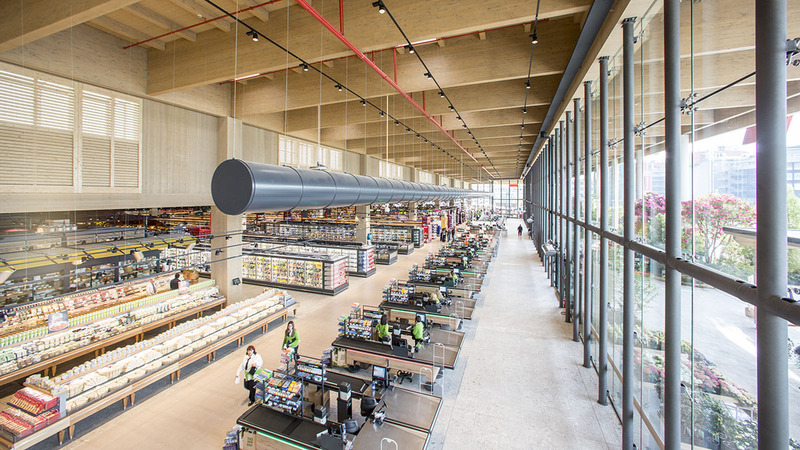 Inside the shopping centre of Arese (Milan), the biggest mall in Italy – built on the former Alfa Romeo site –the new Italian hypermarket Iper has evolved. 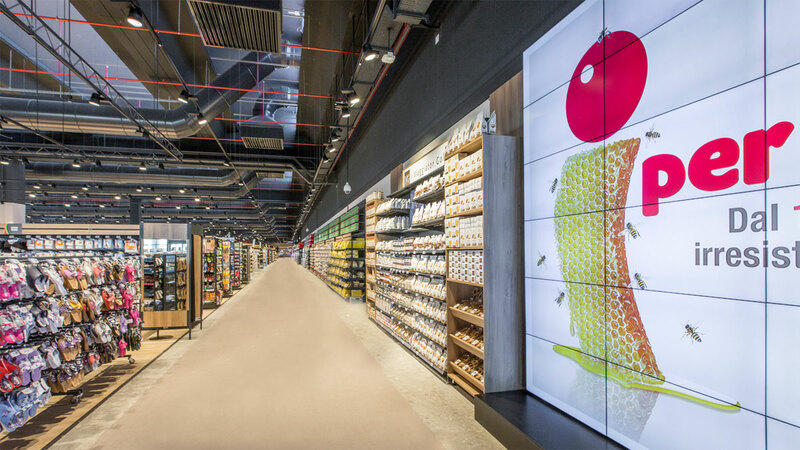 An innovative store of 9,000 m², for which Imoon has designed a unique lighting system, in line with the philosophy of the company. 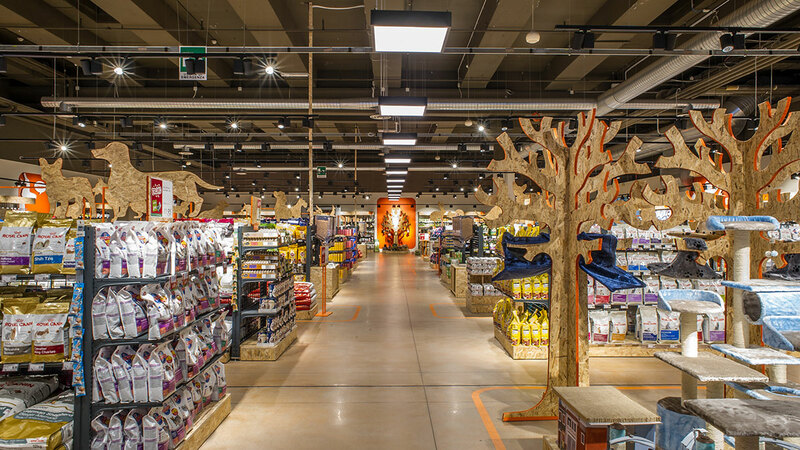 The 27th hypermarket of the Italian brand Iper, characterized by an eco-friendly design and built with the highest quality natural materials, confirming attention to quality and details with the addition of innovative aspects – such as the craft brewery, the flower market and the cooking school – reflecting the desire of the architect De Lucchi to make each visit a unique and personal experience. The same idea of innovation is also found in the Imoon lighting design, a new concept showcasing the goods through an visual destination, lit only by projector luminaires the effect is “spectacular”, the products are perfectly enhanced with less light on the passageways, where you have 700 lux, and more emphasis on the shelving, the sales area, and on the specialist fresh area, where 2000 lux is achieved. 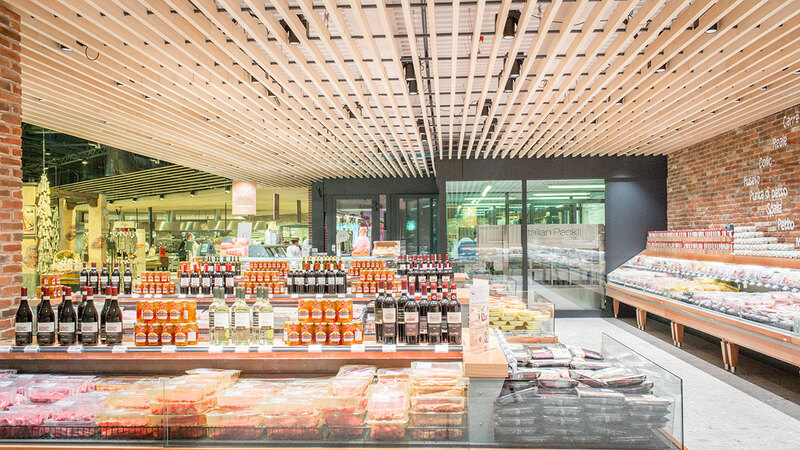 The light accompanies the perfect visual sequence, realized by the placement of a sales areas that starts from the amber tones of bread, to the beautiful colours of fruit and vegetables leading through to the fish and the meat departments stunningly illuminated. 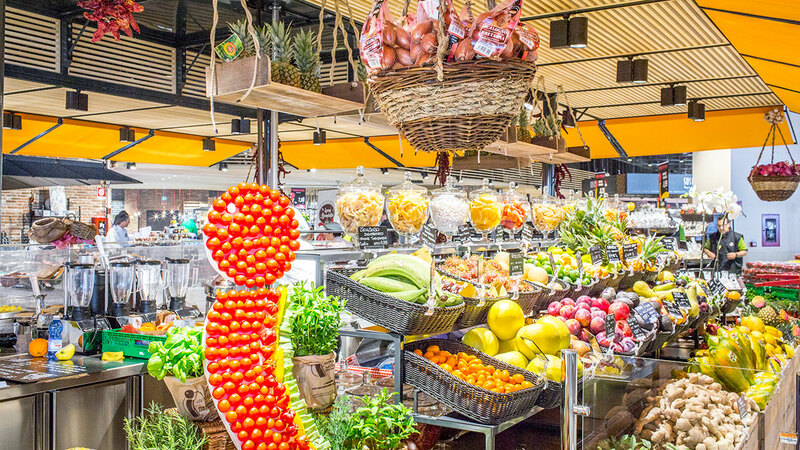 Colour temperatures of the light – chosen onto the different types of products – and the latest LED technology show the colours vividly without altering the freshness of the food. The same philosophy is applied to the following areas – dairy products, pasta, coffee roasting and the wine shop. 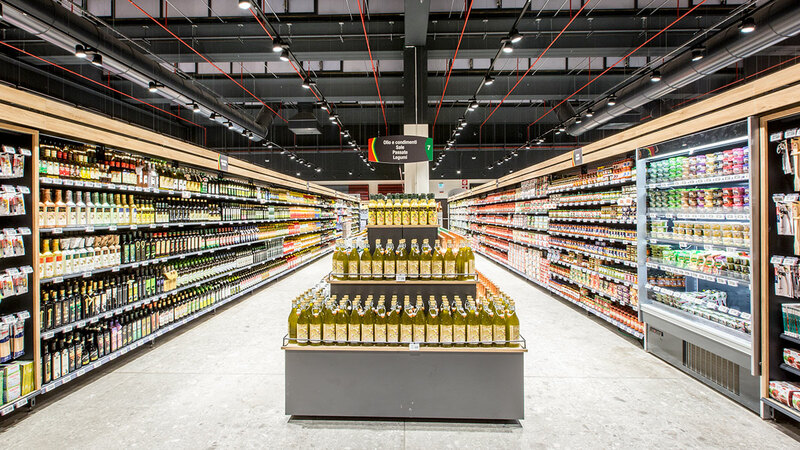 This design of light allows the creation of a warm atmosphere that makes for a pleasant experience for the visitor; a key aspect in the new hypermarket which houses many places where you can stop to taste the products and take in the atmosphere. 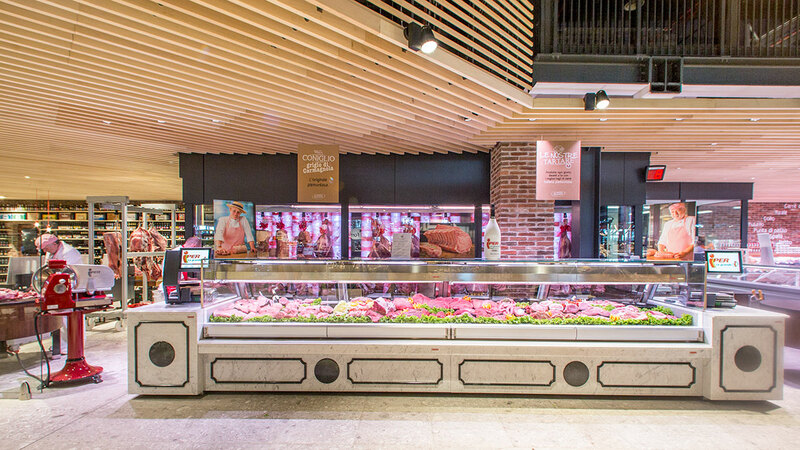 9000 sqm illuminated using just two LED products: Venere Pro P, to illuminate the fresh food area, the main floor and the checkout area; and Kronos P, – a customized version, equipped with special brackets, designed for insertion into the wood ceiling that characterizes much of the hypermarket – for the butchery and the take-away. 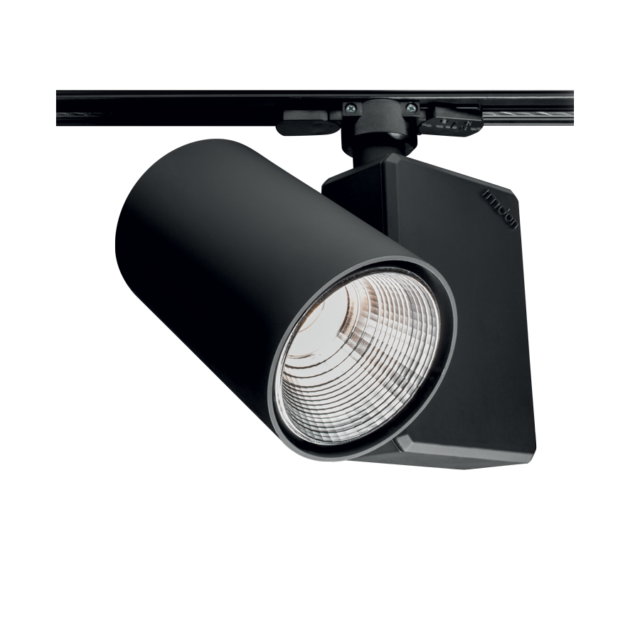 Two products that due to the availability of reflectors and colour temperatures, are able to meet the different needs of lighting the various zones. 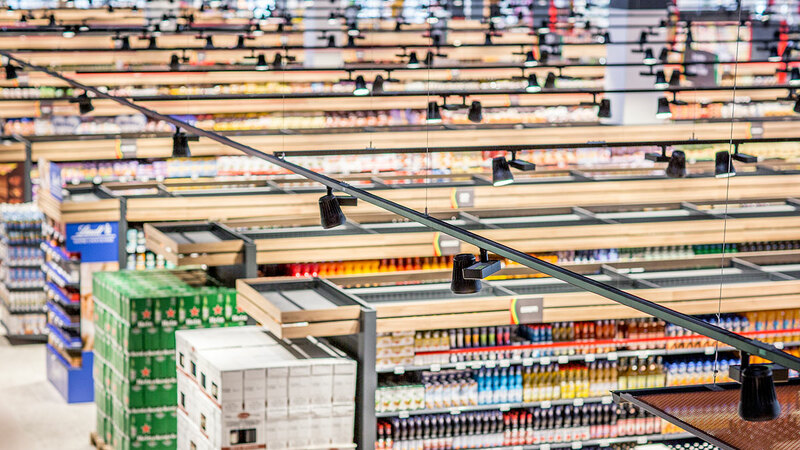 This new lighting concept – without a modular lighting system – has enabled high levels of illuminance (in the fresh food area up to 2000 lux; in the main floor up to 1200 lux) together with high energy efficiency, even more crucial in such a large supermarket. 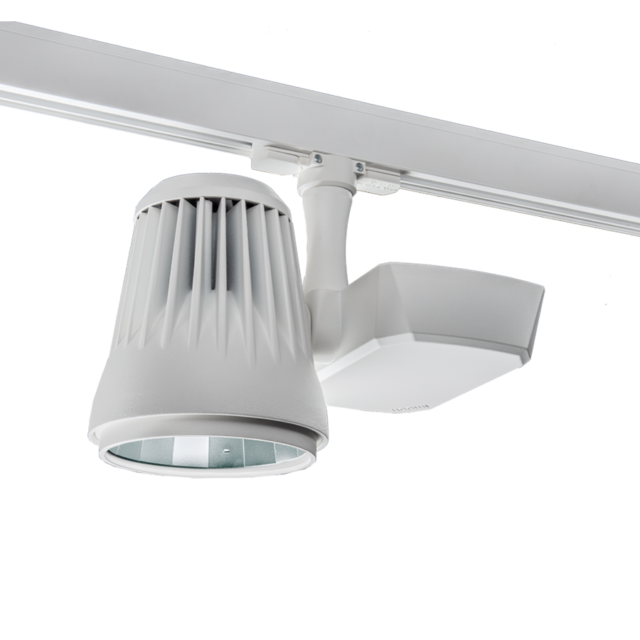 The system, in addition to be efficient and elegant, guarantees a reduction in energy costs with a consumption of about 10.5 W / m².